Father Lacombe Chapel is a Provincial Historic Site. For additional information on Father Lacombe Chapel, please visit the Province of Alberta. 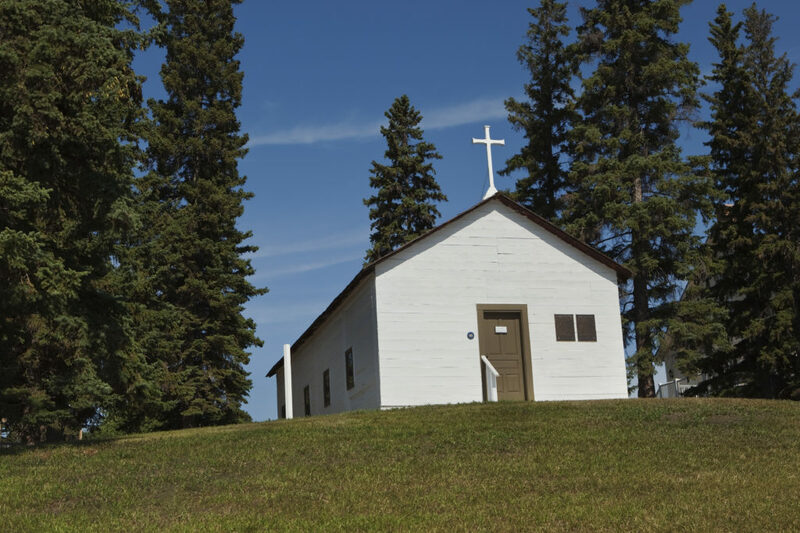 Mission Hill is home to the Father Lacombe Chapel, Alberta’s oldest surviving building, built in 1861. Father Albert Lacombe and the Métis constructed a log building to serve the new St. Albert Roman Catholic Mission, which became the centre of the thriving French speaking Metis settlement of St. Albert. Today the chapel has been restored to look much as it did in the early 1860s. When you visit the historic site, from May until Labour Day, costumed interpreters take you on a tour of the chapel; crypt, where Father Lacombe and Bishop Grandin are buried; grotto and through the cemetery, the resting place of some of St. Albert’s first residents. Tours are available in English and French. Education programs and special events are offered.